The Modular Layer 2 (ML2) plugin is a framework allowing OpenStack Networking to simultaneously utilize the variety of layer 2 networking technologies found in complex real-world data centers. 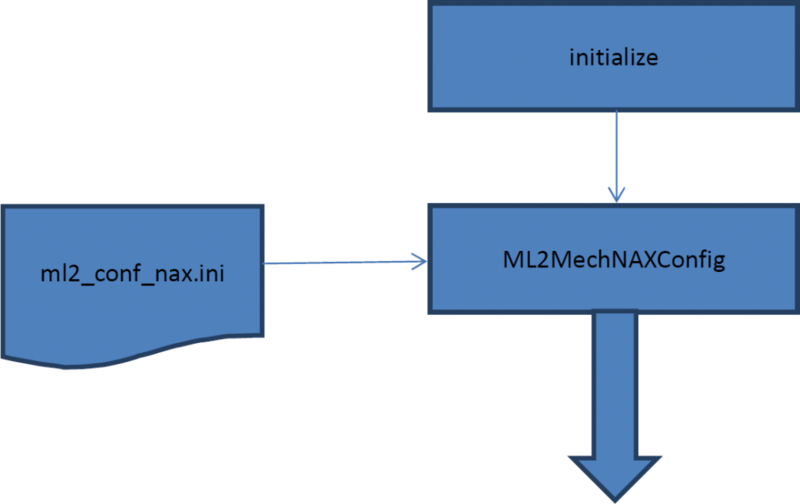 NAX ML2 driver implements ML2 Driver API and supports configuring of NAX switches. 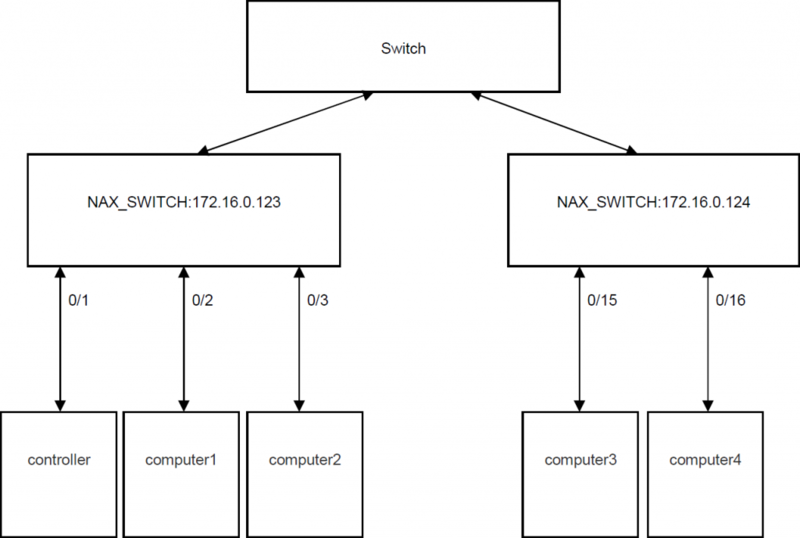 NAX ML2 driver uses SSH to configure the NAX switch. NOTE: Initial version of this driver only support VLAN for OpenStack Newton. NOTE: MLAG feature does not work with OpenSwitch. Refer to https://wiki.openstack.org/wiki/Neutron/ML2 for OpenStack Neutron ML2 details. The Neutron server is running the ML2 plugin. The Open vSwitch mechanism driver is configured in the ML2 configuration. <neutron_install_dir> is the directory where the Neutron project is installed. NAX ML2 driver is not default build-in driver in OpenStack. OpenStack can’t find specific configuration files for NAX ML2 driver. In order to let OpenStack load the correct configuration files, you have to modify files on Neutron server node. The following section will show you how to install NAX ML2 driver on OpenStack Newton. Configure the following keys in addition to an ML2 configuration. Specify OpenvSwitch and NAX mechanism driver. For a more detailed description, please see the NAX ML2 driver configuration. If you add brand new servers or switch to your OpenStack cluster, you have to edit ml2_conf_nax.ini and to restart Neutron to let new servers or switch to be controlled by NAX ML2 plugin. Modify the NAX switch information to ml2_conf_nax.ini file include the following information. The <physical network> is physical network name. Allows valid physical network to create/delete a network. Only allow to create/delete bare metal machine. This is an optional field. switch. This is a required field. If not set, all communications to NAX switch will be failed. port> is port of NAX switch connected to the server. This is a required field. 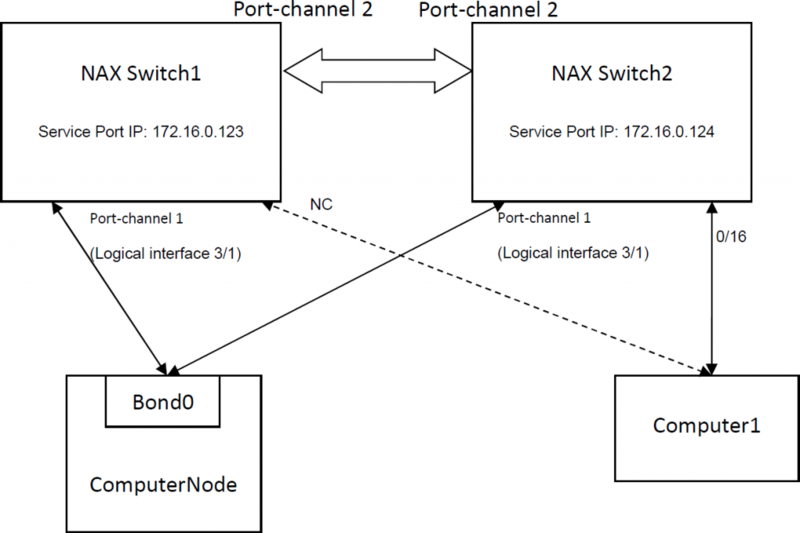 For MLAG asymmetric topology must configure NC port of NAX switch is not connected to the server. field. If not set, an empty password is assumed. optional field. If not set, a value of 22 is assumed. In this section, we will use three examples to demonstrate how to configure the NAX ML2 configuration file. In the figure below, it shows the VM topology used for VLAN configuration. In the figure below, it shows the bare metal topology used for VLAN configuration. To notify neutron about bare metal ports, Ironic uses its own mechanisms to inspect the hardware, and forward that information as part of neutron-port configuration. switch_id – identifier of the switch that the port connected to. It can be the switch MAC address. port_id – a physical port-identifier in the switch. switch_info – other information about the switch (optional param). The NAX mechanism driver should use that information while binding the lport. A typical MLAG setup is illustrated in the following diagram. Configure MLAG in the plugin with multiple connections per host. For example, ComputerNode is connected to two NAX switches 172.16.0.123 and 172.16.0.124 over port-channel 1. Port-channel 1 is assigned logical interface ID3/1. Use the show port-channel all ICOS command to show the logical interface IDs on NAX switch. Configure MLAG in the plugin with multiple connections per host. 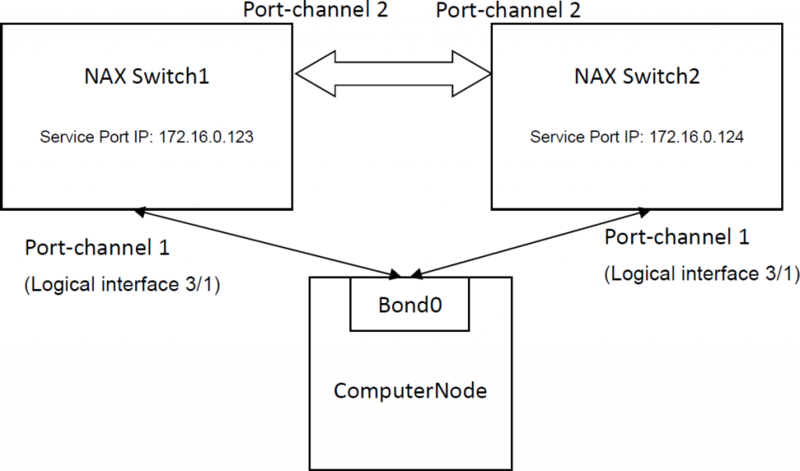 For example, ComputerNode is connected to two NAX switch1 (IP address: 172.16.0.123) and NAX switch2 (IP address: 172.16.0.124) over port-channel 1. Computer1 is connected to port16 of NAX Switch2. You need to add the NC port of NAX Switch1 to connect Computer1. A mechanism driver is called on the creation, update, and deletion of networks and ports. For every event, there are two methods that get called – one within the database transaction (method suffix of _precommit), one right afterward (method suffix of _postcommit). Check network type. Only network type vlan is supported. ML2 driver will add the entries to nax_switch_vm database. vm_id, hostname, tenant_id, network_id: provided by ML2 mechanism event. (Retrieve two entries for MLAG topology). vlan_id : Use network_id to search nax_switch_network database. Use vm_switch_ip, vlan_id and hostname to search nax_switch_vm database. ML2 driver will delete the entries to nax_switch_vm database. If count >1, don’t care. nax_switch_network table: Create Network in the mechanism specific database table to store network information. nax_switch_vm table: Create port in the mechanism specific database table to store vm information. nax_switch_vxlan table: Create VXLAN tunnel specific database table to store VXLAN information.